A historical novel of love and survival inspired by real resistance workers during World War II Austria, and the mysterious love letter that connects generations of Jewish families. A heart-breaking, heart-warming read for fans of The Women in the Castle, Lilac Girls, and Sarah's Key. Author of the forthcoming In Another Time. Austria, 1938. Kristoff is a young apprentice to a master Jewish stamp engraver. When his teacher disappears during Kristallnacht, Kristoff is forced to engrave stamps for the Germans, and simultaneously works alongside Elena, his beloved teacher's fiery daughter, and with the Austrian resistance to send underground messages and forge papers. As he falls for Elena amidst the brutal chaos of war, Kristoff must find a way to save her, and himself. Los Angeles, 1989. Katie Nelson is going through a divorce and while cleaning out her house and life in the aftermath, she comes across the stamp collection of her father, who recently went into a nursing home. 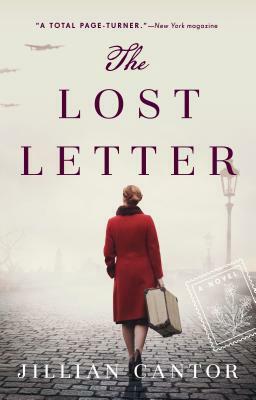 When an appraiser, Benjamin, discovers an unusual World War II-era Austrian stamp placed on an old love letter as he goes through her dad's collection, Katie and Benjamin are sent on a journey together that will uncover a story of passion and tragedy spanning decades and continents, behind the just fallen Berlin Wall. A romantic, poignant and addictive novel, The Lost Letter shows the lasting power of love.